Usually, User Registration is a standard process on the most of sites, blogs and portfolio sites. And especially, it’s important for e-commerce sites where the user can find the shopping basket and need to stay logged in. First step. Find the directory “Live Chat by Supsystic” on your admin panel. Two basic options are E-mail and Name of the guest. 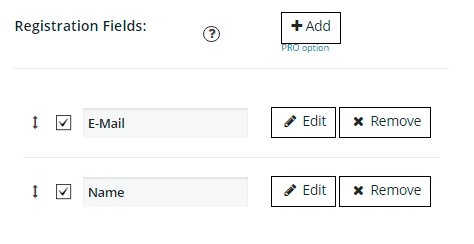 If you want to add some more registration fields – this is a Pro feature of our plugin. Install the Pro version and click the “+” button. Need an additional info or have some question? Visit the Live Chat Documentation Page.